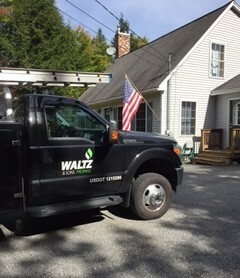 At Waltz & Sons, we want everyone in Maine to bring home the power of propane. As Maine’s only propane-only supplier focused exclusively on residential homes, we offer expert advice and exceptional indoor propane heaters, gas fireplaces and propane space heaters, and high performance propane appliances like propane hot water heaters, gas dryers and more. Whether you are adding new heating or appliances, converting existing systems or looking for a more cost-effective and environmentally friendly fuel source, start with FREE and accurate propane site survey from Waltz & Sons. We can help you find White Mountain Hearth gas fireplaces, but you’ll also find that we know all the available gas stove and indoor propane heater choices available to you. If there’s a better gas fireplace for your family’s needs, we’ll make sure you know about it … and we’ll help you find it! The hearth is the heart of any home, and gas fireplaces and gas stoves are the products we know—and love—best. Come in and get cozy! We’ll walk you through all of your gas fireplace and gas fireplace insert choices, and help you find the affordable, energy-efficient gas fireplace or gas stove for your family. 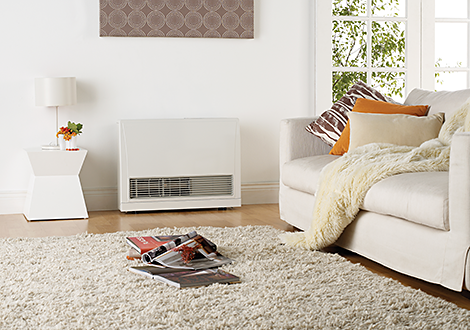 We’ll take care of the installation and maintenance, too, so all you have to do is enjoy the ambience and warmth. Looking for an affordable, energy-efficient and safe way to warm up a three-season porch, seasonal camp or cabin, or a drafty part of your house? Propane space heaters add the extra heat you need without adding a lot of extra fuel costs and greenhouse gases. Whether you need a wall mount, freestanding or portable propane space heater, Waltz & Sons can help you select just the right space heater for your space and code requirements. If you spend any time in your garage—unloading groceries, tinkering with tools, tuning up your car or practicing with your band—propane garage products are an ideal way to get affordable, clean-burning heat on demand. Safe and clean propane garage products let you get more out of your storage and hobby spaces. Tired of taking cold showers or a shower that starts hot and end cold? Do you love taking a bath but don’t have enough hot water to fill your bathtub? 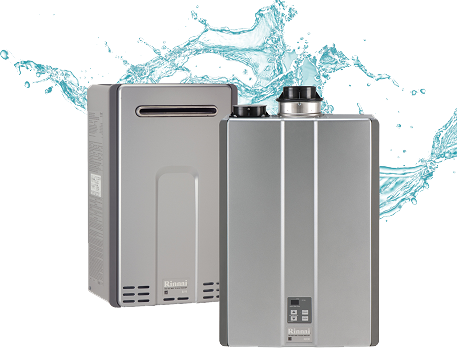 Tired of hearing your boiler come on just to maintain your hot water temperature… especially in the Summer? If so, it may be time to consider converting to a propane hot water heater. You will save energy, money and even space in your home! Ever heard the phrase Now you’re cooking with gas? You’ll know just what it means when you snap on your professional propane gas range. Propane is the perfect fuel for family cooking, whether you are a handy home cook or an amateur chef. Propane can also give you a helping hand around the house with affordable, energy efficient gas dryers and more. Let Waltz & Sons show you how to get more out of your household energy budget with indoor propane appliances! We’re the gas fireplace and gas stove experts that will show you everything, not just the brands we sell. Call Waltz & Sons today!